Welcome to the quiet man! 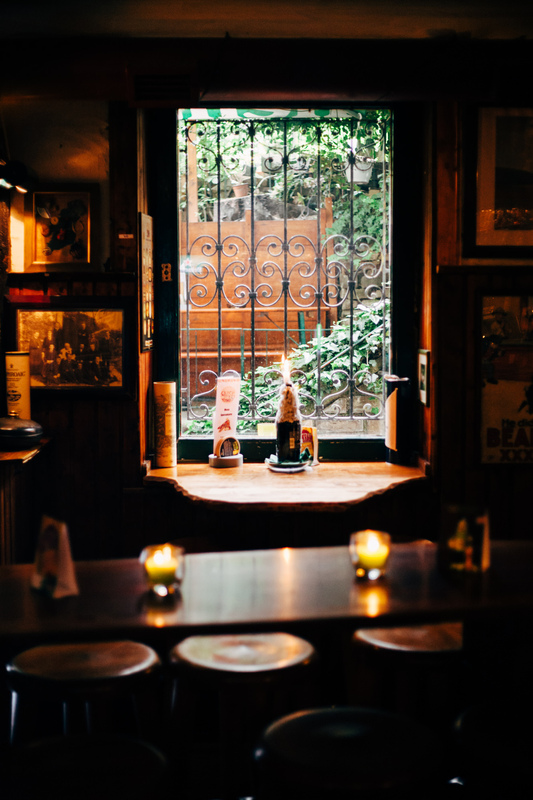 We are one of the few remaining family-run pubs in the heart of Bonn. Meet people from all over the world and from all walks of live in a lively yet homely atmosphere. We speak english, german, spanish and a number of other languages,depending on who is on duty. Come in and find out what makes our pub so very special! The Quiet Man is furnished with 12 tables and plenty standing room. There are shelves filled with books, ancient photographs, antique relics full of remembrances and aged paintings to explore. Heart of the pub is our ancient, wooden Bar. There is always something going on! Meet new people or have a chat with one of the bar tenders. We have drinks up our sleeve for everyone! Whiskeys for connoisseurs, pints for the boozers, ciders for the ladies, juices for the kids and non alcoholics for the drivers! Try one of our famous Burgers, our irish Fish & Chips or have a snack while watching sports or chatting with friends. Our menu offers different culinary delights. Which place would be better to enjoy a couple beers with friends while the sun is shining than our lovely beergarden? Have a nice time under the open sky. Our beer garden is equipped with 7 ale-benches, 2 high tables and a Heineken Lounge spread on three levels. The beer garden opens at 18.00 and closes at 23.30. Come in and watch your favorite sports at the Quiet Man while having a cold, sparkling beer! We regularly show all Bundesliga, Champions League and Rugby Games on four flatscreens. Our opening hours may vary around major sporting events. Watch our latest news or like us on Facebook for regular updates. Our pub is well-attended. To be sure that there is enough space for you and your folks reserve a table in advance. Reservations can be done on-site or via telephone under the number 0228 9814733. Don't hesitate to address us personally if you plan to celebrate a special event or have any other questions!